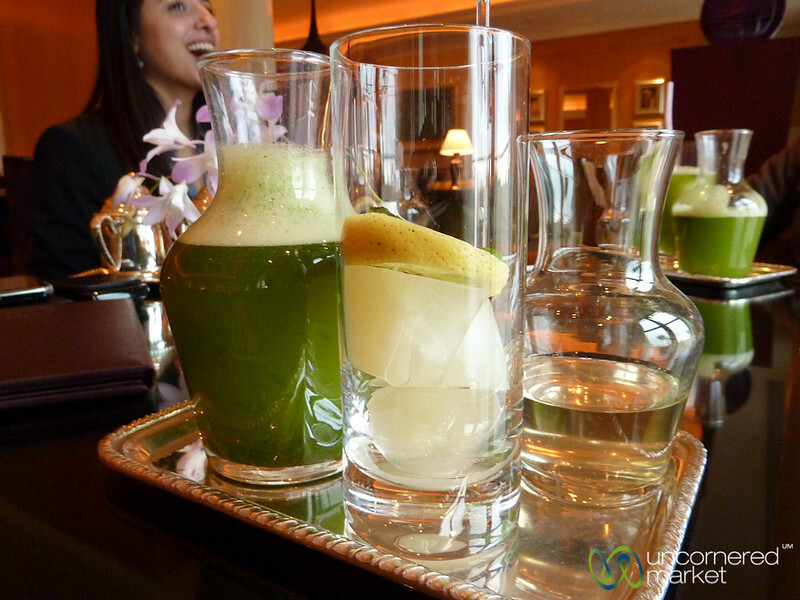 A common drink in Jordan is lime juice mixed with ground mint. A sugar syrup is served on the side so that you can control the sweetness of your drink. Taken at the Four Seasons in Amman, Jordan.